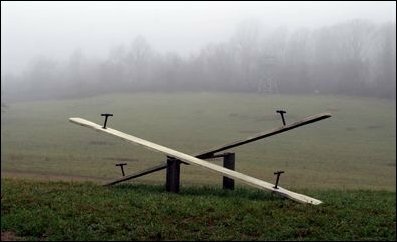 The Seesaw - Hi, friend Climate and Weather Information, in this article entitled The Seesaw, we have prepared this article well and concise to be easy to understand for you to read and can be taken inside information. hopefully the contents of the post that we write this you can understand and useful. okay, happy reading. East and West Coast weather is very much a meteorological see saw--when we are warm they tend to be cold and snowy. And vice versa. Take a look at the minimum temperatures ending at 5 PM today (click to expand). Highs into the 60s and low 70s over coastal California..and 50F here in Seattle, while east of the Rockies, 30s extended way south into Texas and the deep south. The minimum temperatures on Thursday morning (see below) were amazing, with record-breaking cold hitting Arizona, New Mexico, Texas and the high plains. There has been a lot of media attention to the snow back east, but it is the cold that has been really unusual for this last event. And the shear number of cold/snow events over the eastern U.S. have been extraordinary. And while they shiver, the snowpack in the Cascades and Sierra have been fading fast, with the snow water equivalent in the central Cascades dropping to roughly 60% of normal. As noted in this blog the cause of both our warmth and drought, and their cold and snow, are the same. A high amplitude upper level pattern--with a ridge of over the eastern Pacific, and a trough over the central U.S. that has been locked in place for weeks. And it looks like we have another week to go. Here is the upper level map for Sunday...there is the ridge in the west and trough in the east. And here is for Thursday...look familiar? I am getting tired of this pattern! A few disturbances will move though the West Coast ridge this weekend, mainly later tomorrow and Sunday, so expect some showers then. But by late Monday, the ridge amplifies and we get dry again. Right now the models are suggesting the pattern will break down next weekend...but it is really too soon to be sure. At 7 PM on Feb 23rd I will be at Ivar's Mukilteo Landing Restaurant to talk about the big storm that destroyed the original restaurant in October 2003. Quite a tale. And then they rebuilt the restaurant based on a weather theme, with a huge storm mural at the entrance and a working weather station in the lobby. AND they have added weather instruments and a cam you can see on their web page. Food will be available before, during, and after the talk (normal menu and prices), but if you want to go please make sure you get a reservation since this place has only moderate capacity (as soon as possible, 425-742-6180). You can see the mural and read the description of this event in my book. Thank You and Good article The Seesaw this time, hopefully can benefit for you all. see you in other article postings.